Even though some medications, such as antibiotics, have a higher risk of being allergenic, all drugs have the potential to provoke an allergic response. Type I – This is an IgE-mediated reaction, which usually starts within minutes to an hour of ingesting the drug. It involves the immune system creating IgE antibodies. These, in turn, activate mast cells, which cause symptoms to develop. Type II – These are “cytotoxic” drug reactions, in which medications attach to and attack certain cells in the body. They can produce hemolytic anemia by destroying red blood cells. Type III – These are immune-complex medication reactions which cause serum sickness. This condition produces a fever and flu-like malaise. Type IV – These reactions tend to occur 10 – 20 days after exposure. They involve activated T-lymphocytes and often cause contact dermatitis. Sometimes delayed drug reactions can affect the lungs or kidneys. These reactions are poorly understood. Sensitization can occur when an individual is exposed to drugs like penicillin in food products. Once an individual has been sensitized he/she can react to traces of the drug. Drugs are more likely to cause a reaction if they are taken as several short courses that are repeated in a short time frame. An example would be when an infection comes back. Injected medications are more likely to cause an allergic response than those taken orally. 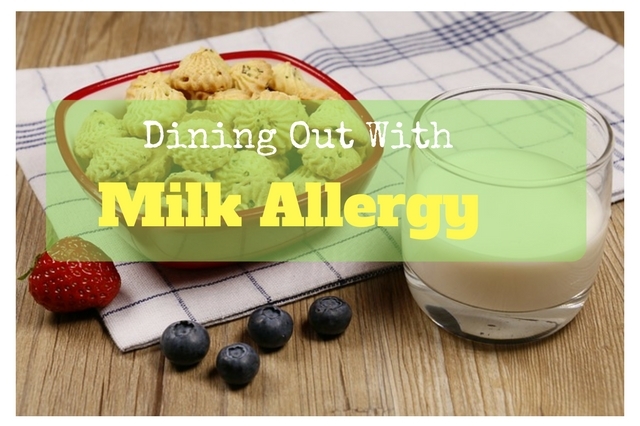 People who are prone to other allergies are not more likely to have a drug allergic reaction. People who are allergic to one medication often have more risk of other drug allergies, even if the drugs are unrelated. The symptoms of a drug allergy are like those of other allergies. 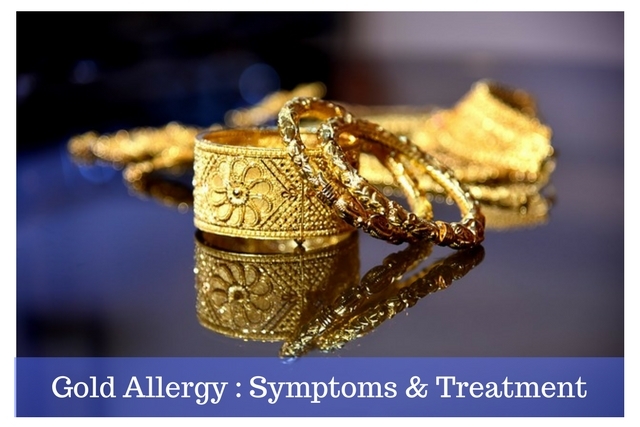 They include rash, hives (possibly large), red skin blotches, flushing, swelling, nausea, nasal congestion, swollen larynx, and difficulty breathing. Unlike other allergies, a drug allergy can include a fever. It may be alone and become confused with the fever from an illness. Stevens-Johnson Syndrome is a rare non-allergic skin condition. It is a severe, peeling, blistering, and ulcerating skin condition. 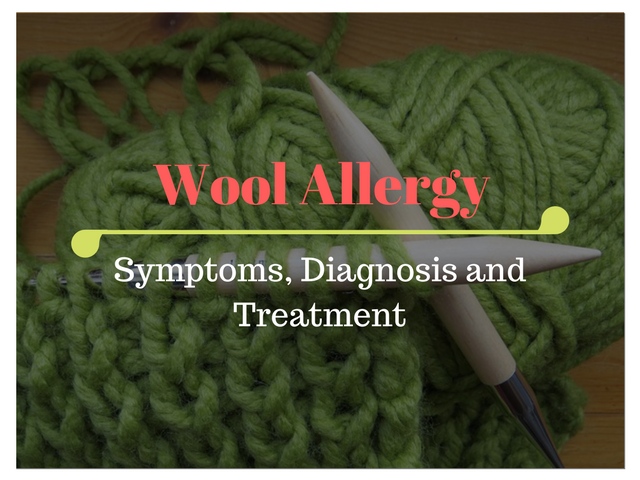 It can appear with an allergy and should be treated immediately. 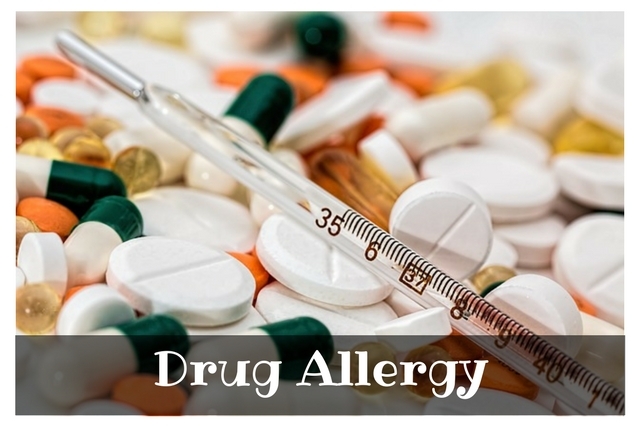 Drug allergies have the potential to be very severe or life-threatening. If one is suspected, it is very important to seek medical attention and advice immediately.